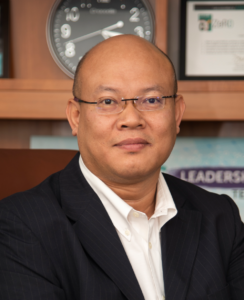 Hisham Basar is Head, Wells, Centre of Excellence, PETRONAS. In terms of drilling and completions, what are your major focus areas as you work to improve performance and efficiency for PETRONAS? As a brief introduction, PETRONAS is an established global oil and gas company with proven value-driven successes across a fully integrated oil and gas value chain, and we uphold the highest standards of safety. When I first joined PETRONAS, I envisioned bringing the company toward a world-class well delivery status globally. To achieve this vision, good teamwork is essential for performance and efficiency. We constantly aim to strengthen the shared accountability with our stakeholders, which include teams from subsurface, logistics and assets, as well as contractors. In addition, improving our human capital in capability development and improving our decision-making pace by using digital solutions are equally important in order to become a world-class player. These approaches will create value to PETRONAS by achieving cost optimization from contracts and operations; effective contractor management; and simplified technology deployment and replication in operation. 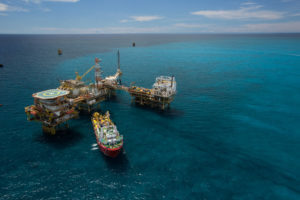 The company has developed Cost Reduction Alliance 2.0, better known as CORAL 2.0, which is a long-term industrywide program driven by PETRONAS with an aim to inculcate cost-conscious mindsets across upstream Malaysia. CORAL 2.0 supports sustainability of the oil and gas industry in the country and prepares for future industry challenges by optimizing cost, increasing efficiency and driving industry innovation across all operators. The cost reduction achieved will improve the economic viability of projects in the country, as well as enhance Malaysia’s oil and gas industry’s competitive advantage. How have automation and digitalization impacted PETRONAS’ operations in the past two to three years? Can you provide examples? In PETRONAS, we believe that “data is the new oil,” and it should be carefully managed to deliver actionable insights. Automation and digitalization have improved well performance by allowing for effective planning and efficient operations monitoring via our Wells Real Time Centre (WRTC). WRTC is a 24/7 monitoring center located at the PETRONAS Twin Towers in Kuala Lumpur. It provides continuous technical assistance through efficient and predictive monitoring, as well as intervention. Through digitalization, actual drilling data is fully utilized for performance benchmarking and lessons learned; it is also analyzed for future improvements. After the Wells Digital Initiative team was set up in 2017, I noticed efforts were being made to adopt the digital revolution for improvement in PETRONAS. Over the coming decade, how do you see automation and digitalization impacting PETRONAS’ operations? The vision is for PETRONAS to become data driven and an empowered organization, adopting new ways of working and unlocking new value across an integrated hydrocarbon value chain. Efforts will focus on optimizing each phase of the exploration and production value chain, from advanced imaging and interpretation in exploration to centralized real-time operations for drilling to enterprise-wide implementation of integrated operations (IO) across the production lenses. The upscaling of IO from a predominantly production-focused platform to exploration-development-production-monetization is the first step toward transforming our business into a digital enterprise. Our IO Centres remotely manage offshore operations. Building digital capabilities is crucial to PETRONAS’ efforts to strengthen our business and deliver a step-change in value and culture, leading to more efficient and safer hydrocarbon discovery and monetization. We have also established a new Centre for Advanced Imaging (CAI) located at the PETRONAS Twin Towers. It is a collaborative venture with CGG, an integrated global geoscience company, aimed at supporting PETRONAS’ growth strategy in expanding its resource base through exploration. CAI is unique because it focuses on collaboration in three key areas: seismic processing, reservoir characterization and multiphysics imaging. 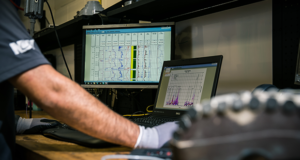 The center has the capability to undertake in-house seismic data processing, quantitative seismic interpretation and multiphysics processing at the pace and priority as needed. Digitalization will change the way we manage drilling operations. Operationally, it will be faster, more cost effective and safer. It pushes for better decision making, enhances collaboration and significantly reduces operational costs. It unlocks tremendous value and will help us to become a winning team that increases the efficiency of our day-to-day business. By this virtue, it accelerates PETRONAS’ journey toward achieving a world-class well delivery status. Our aspiration is to use digital solutions to make better decisions, optimize across the value chain and unlock new resources, as well as work more safely and more efficiently. In this economic environment, investing in rig upgrades can be difficult for drilling contractors. What types of upgrades would operators like PETRONAS most like to see? In general, PETRONAS wants to see a rig that can contribute toward a more cost-effective drilling operation and provide a safer working environment, such as robotic operations and unmanned rig floor operations. The Sarku Santubong vessel services PETRONAS’ Samrang Platform offshore Malaysia. PETRONAS believes that developing digital capabilities is crucial to its efforts to strengthen its business and deliver a step-change in value and culture. It is my hope to see in the near future the installation of smart cameras on rigs to ensure a safer working environment. The cameras would have the ability to generate “Unsafe Act, Unsafe Condition” reports via smart detection, where immediate action can be taken to prevent health, safety and environment incidents on the rig. Additionally, upgrades related to fuel consumption efficiencies, reduction of mechanical breakdowns and improvements in rig up-time are on our wish list. How is PETRONAS evolving the way it trains next-generation employees as roles and responsibilities at the well site change due to automation? 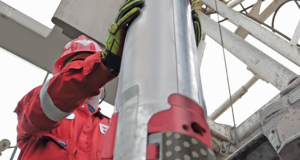 Looking to the future, as a result of adopting automated drilling, less time will be spent on managing our operations. This will allow employees to focus more on effective operations monitoring and, at the same time, on enhancing working relationships. “Hearts and Minds” program, as well as inculcating PETRONAS’ cultural beliefs – Focused Execution, Results Matter, Own It, Tell Me, Shared Success and Nurture Trust – on the rig. I foresee that employees will be able to enhance HSE management on the rig by having frequent HSE walkabouts and engagements. Significant efforts have been made over the past three to four years to reduce costs. Offshore, where do you see the most potential for additional cost reductions? In my opinion, it is possible to enable a full-scale automated drilling operation offshore. Not only does it further reduce operational costs, but it also promotes a safer working environment on the rig. Enhancements can also be made to contracting strategies. Contracts that govern a single-point accountability via a rig contractor will become the new norm in the future. For instance, integrated drilling services with the “one down, all down” concept has become a trend in PETRONAS in a volatile oil price environment. I think that the accuracy of drilling data can also be enhanced through the acquisition of high-quality and high-resolution subsurface data. It may sound like a big investment, but the outcome will give great value for future drilling campaigns. The same applies to the application of advanced technologies for a total drilling solution, where integration between the drilling rig and third-party contractors will be crucial to support the latest technologies in the market. For onshore projects, the application of the “walking land rig” will help to reduce the duration required for rig moves and rig-up. Also, it might not too extreme to start thinking about having remote drilling monitoring for onshore operations to improve their cost effectiveness. I believe the industry should focus on using onshore drilling operations as the avenue to deploy new technologies, due to faster responses and much easier logistics arrangements and intervention. What would you like to see drilling contractors do to help operators to improve overall efficiency and reduce costs? In the near future, I would like to see rig contractors utilize LNG-powered drilling rigs, which would have a significant impact on overall operation costs. Not only would this allow us to be less dependent on diesel to power the rig, but at the same time we can utilize a much cleaner source of energy for the betterment of our environment. Other things I would like to see include more ownership in managing the rig operation; more involvement in reviewing and supervising third-party contractor activities on the rig; having additional teams to look into operations planning and optimization; and more efficient management of spares and critical equipment. As part of the digitalization initiative, I strongly believe collaborations between rig contractors and digital companies on artificial intelligence (AI), machine learning and big data management would have a huge impact on how we do business in the oil and gas industry. Ample applications have been extended toward the visual reality approach, particularly for training, hazards identification on the rig and troubleshooting of rig equipment. On the other hand, AI and big data management can also help to make predictions on operational downtime, such as equipment vibrations, bearing failures and engine heat problems. With investments and upgrades in digital solutions, rig contractors will be able to evaluate their performance and analyze the improvement required for future challenging campaigns. How do you think the business model between operators and drilling contractors might evolve in the coming years? Do you see contracts becoming more performance based in the future? In the coming years, the business model will be much more competitive. 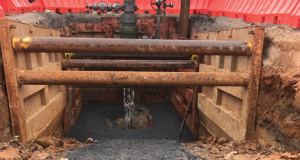 The implementation of the dayrate model for activities involving a third-party contractor has evolved toward application of the “one down, all down” concept through integrated drilling services. I believe this method will be extended to rig contracts in the future. To make it more competitive and bring more value to both the operator and rig contractor, we have started to introduce reward and penalty schemes in managing the rig’s drilling and HSE performance. Do you see value in the integrated services approach, and are there any challenges for the operator in taking this approach? My take on having a single point of responsibility on the rig and taking the integrated service approach in operations is very positive. It has proven to benefit both the rig contractor and the operator. Having a single point of responsibility on the rig ensures smooth execution of operations and simplifies workflows and processes to promote faster decision making. Consequently, for the rig contractor, it provides them with flexibility and empowerment to manage the operation and have better resource planning and management. Additionally, it promotes shared ownership and better risk management between the operator and the rig contractor. However, there are some challenges that cannot be avoided in this approach. It’s a possibility that the operator might misalign with the host authority’s requirements, especially on local content. There is also the possibility of having higher operational costs quoted by the rig contractor due to having bundled services. But the biggest challenge is having a mutual agreement between the operator and the contractors, such as achieving early first oil versus a much cheaper operational cost, which is managed by the rig contractor. What is PETRONAS doing to improve and reduce the costs of its well completions? PETRONAS has achieved a lot of advancements in well completions, which leads to direct contributions in reducing overall well costs. To name a few, we have completed design standardization; batch completions; and smart well completions with wireless technologies and fit-for-purpose completion designs. We are also equipped with a Completion Supervisor on the rig, whose role is to monitor and supervise the completion operation. This leads to more effective and more efficient operations management at the well site. Further, this approach will ultimately reduce the overall completion cost. On top of that, we have adopted the utilization of completion equipment based on a consignment basis, which helps to prevent the generation of surplus equipment after the end of a campaign. As such, PETRONAS has embarked on integrated completion services (ICS) contracts to further reduce operational costs. In the future, ICS contracts will include a penalty and rewards scheme to make it more beneficial to both PETRONAS and contractors. Safety remains a top priority for the industry, yet we have not reached zero incidents. How can the industry get closer to zero incidents? PETRONAS adheres at all times to stringent safety measures for all of our operations, in line with international standards. We need to collaborate among each other, such as production agreement contractors, SPE, IADC and the International Association of Oil and Gas Producers, in order to get the industry closer to zero incidents. Among others, collaboration on sharing of best practices, lessons learned and long-term strategies is one of the best approaches. Moreover, we may want to revise the HSE guidelines of rig contractors to include third-party contractors’ personnel as the rig is an asset that belongs to the rig contractor. By having this arrangement, we can have the management of HSE on the rig between both parties to be aligned with each other, thus meeting the operator’s or host authorities’ HSE requirement. Significantly, this approach will live up to the spirit of shared accountability between operators and contractors on dealing with HSE management during drilling operations. Moving forward, other approaches to cultivate zero incidents may include amendments to the IADC HSE Case Guidelines to include flying objects incidents as a major accident hazard and to consider the expansion of the HSE Case scope to cover non-rig related equipment or operations, such as production platforms and marine vessels. The introduction of shared KPIs and streamlining the HSE plan and initiatives between the operator and rig contractors will further help the industry to achieve this vision sooner.